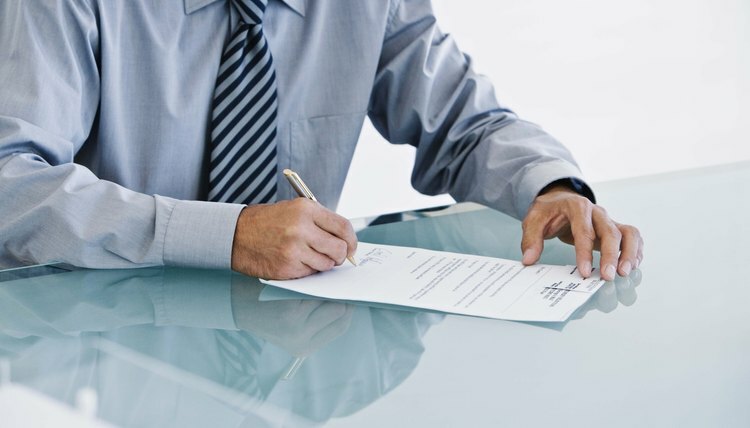 Determine if you need to file a formal name change petition. If you are a woman getting married, you can add your changed name to your marriage license application. If you are getting divorced, your divorce attorney can ask the judge to incorporate your changed name as part of the divorce decree. Parents who adopt children can change the child's last name as a part of the adoption proceedings. Visit the circuit court in the West Virginia county in which you have lived for at least one year and ask the clerk for a name change petition. Fill out the entire form and include your reason for changing your name. If there are any documents that support your request, include those. For example, if you are recently divorced and wish to change your child's last name to yours, documentation that the other parent is uninvolved or has lost custody could be helpful. Return the petition to the clerk and pay the filing fee. If you are requesting a name change for a minor child -- generally someone who is under 18 in West Virginia -- you must serve the child's other parent with the petition so that he has an opportunity to object. Ask the clerk to have the sheriff serve the other parent. There may be a service fee associated with this. Advertise the name change petition as a Class I legal document in a local newspaper. West Virginia law mandates that name changes must be publicized. The notice should give your current name, the change requested and the date of your name change hearing. Attend your name change hearing. You will receive a notice from the court about the time and place of the hearing. At this time, anyone who objects to the name change will be allowed to voice objections, and you may respond to the objections. If no one objects, the judge will sign an order stating that your name has been changed. Forward this order to the Social Security Administration, the West Virginia Department of Motor Vehicles and the Office of Vital Records.